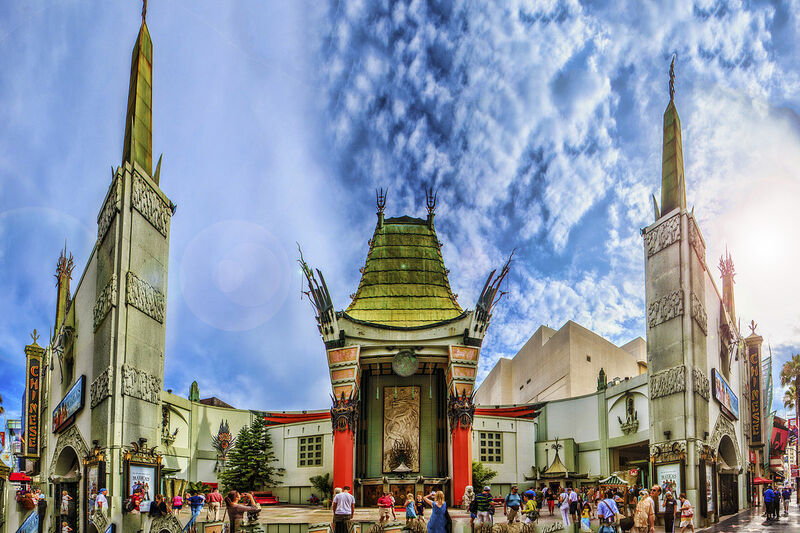 A major victory for preservers and defenders of classic Hollywood occurred, as the TCL Chinese Theatre (formerly, known as Grauman’s Chinese Theatre) acquiesced to a public outcry over souvenir peddlers setting up shop in front of the venue. The vendors, who have long camped on the front sidewalk area of the theatre, were set up directly over many of the famous handprints that take up real estate all around the theatre. A photo posted last week showed the state of things, with racks filled with tacky hats and tourist-trap t-shirts sitting on top of handprints belonging to Hollywood legends like Jean Harlow and Lana Turner. After the photo went semi-viral, a petition was set up and garnered more than 2,600 signatures in only a few days. The petition not only pleaded with TCL, but asked for the help of the Los Angeles Historic Theatre Foundation and Hollywood Chamber of Commerce. While it is unknowable what part of the uproar specifically spurred action by TCL, something worked, as it only took a few days for them to be removed, and the handprints to be visible to the public once again. Maybe someone realized that the vendors will only have business as long as people are flocking there to check out the handprints. Neon and glittery souvenirs are just as Hollywood as those handprints. It remains unclear where the vendor carts will go, though a source indicated they may be relocated to the nearby Hollywood & Highland mall. Over the past 85 years, some 200 film stars have left their hand and footprints there. As of yesterday, there were already people milling about and enjoying the handprints again, proving that the draw remains long after many of these stars have passed on and people become less familiar with their films. This entry was posted on Friday, October 7th, 2016 at 12:25 am	and is filed under Blog by Manny Pacheco. You can follow any comments to this post through the RSS 2.0 feed. Responses are currently closed, but you can trackback from your own site.